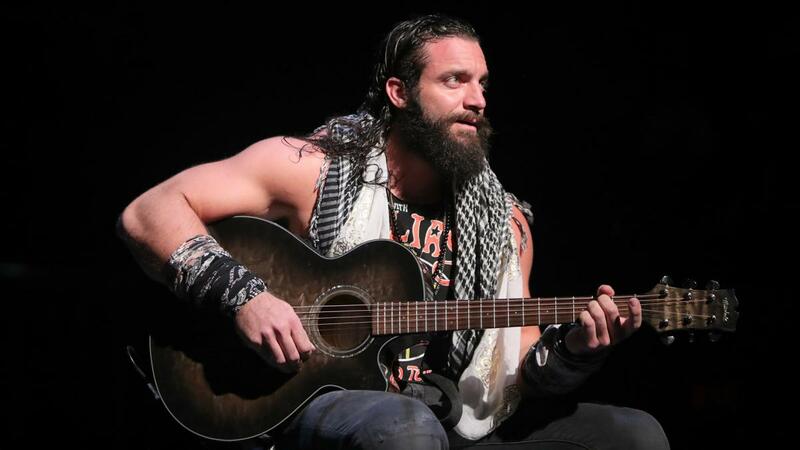 World Wrestling Entertainment Superstar Elias has quickly become one of the most popular wrestlers on the Raw roster, due to his signature phrase and his impromptu concerts in the middle of the ring. 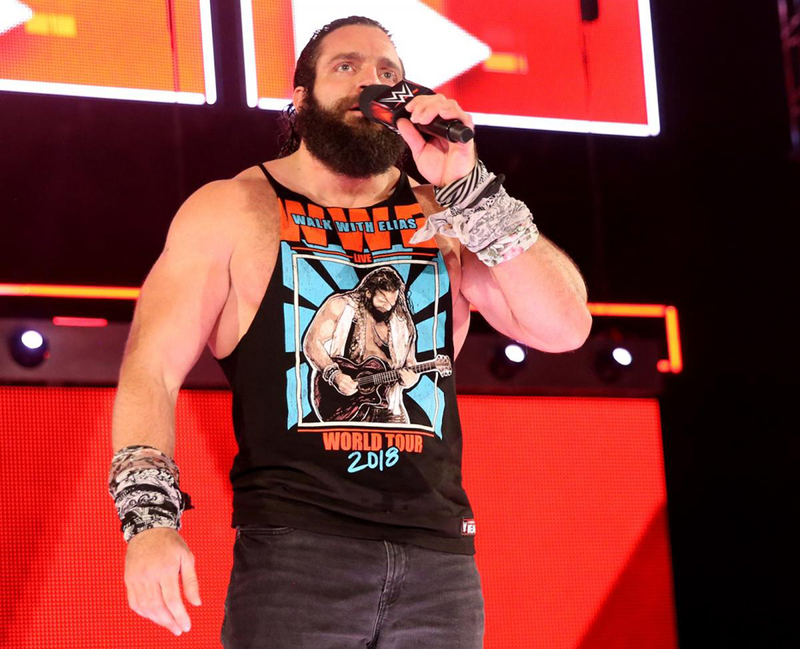 Not only does Elias have one of the freshest and most popular characters on WWE television, the superstar also has one of the top-selling t-shirts in the company. ReviewSTL’s Jeremy Housewright recently talked with Elias about his WWE career, growing up a wrestling fan, and the prospects of an upcoming album being released. How did the phrase,”Walk With Elias,” come to be? Originally in NXT, I was the drifter, walking from town to town, hearing stories and telling stories with my music. As the drifter kept growing, it was just a question I had to ask everybody, Who wanted to walk with the drifter? So, when I got to Monday Night Raw that carried over, just now, I am Elias, as opposed to the drifter. Yes, I was a big wrestling fan. I’ve been watching for as long as I can remember. Who were some of your favorite wrestlers growing up? Growing up, I was into Macho Man Randy Savage and Jake the Snake. Of course I was into Shawn Michaels. He was probably my favorite of all-time. As I got older I liked Kurt Angles, Chris Benoit and Eddie Guerrero. These guys were my favorite to watch. I was watching Raw 25 again the other day and I have to say 2 of the most memorable moments involved you with Chris Jericho and then you smashing a guitar over John Cena. How cool was it for you to have both of those segments in that show? Of course it was. Raw 25 was one of the most watched Raw’s at least of this year and to be such a vocal point of a show that was so important says a lot about the company and what they think of me. For myself, it was fantastic to be that focused on that show. I was in New Orleans for Wrestlemania, but missed your surprise show on Bourbon Street. Can you talk about just how special that week was for yourself? The entire week of Wrestlemania was really special. It was actually my first time in New Orleans. I got to do a small concert on Bourbon Street with music that will eventually be released on iTunes and on my debut album. So, I got to surprise a bunch of people there and do a concert. That went over fantastically. Then, to be a part of Wrestlemania, to come out there and steal a moment from the Undertaker and get into the mix with John Cena and then the Monday Night Raw after with the great crowd, it was just something. You already touched on what I was going to ask next, if there is an album in the future for Elias? Yeah, it’s absolutely in the works. I’ve recorded a few songs already. It’s all about putting the final touches on it and getting it out there. Will WWE fans see Elias in the hunt for a title anytime soon? You know what, when I feel like it, yes, I’ll start getting in the mix for titles. In the meantime, I’m performing, I’m putting on concerts and it’s going fantastic. One of the coolest things about your character is the t-shirts. I can remember walking around New Orleans and people would just start yelling “Who Wants to Walk With Elias” anytime someone had your shirt on. What went into coming up with the shirts and did you have some say so in how they looked? Yes, absolutely I had some say so in how they looked. I just want them to look like classic rock concert t-shirts but with an Elias vibe. It has the WWE logo, Walk with Elias is what I’m talking about there. Now, we got people that work on that who are above me and do the design, but I have final say on it. I really do like the t-shirts that are put out. What musicians are you a fan of? I’m a big fan of Bruce Springsteen, Johnny Cash, Steven Tyler is probably my favorite singer. Jimi Hendrix is a great guitar player, Stevie Ray Vaughn is a great guitar player. I’m into those guys and a lot of classic rock. I’m newly into some country guys like Eric Church and Chris Stapleton. When you’re cutting a promo, how much of it is script and how much of it can you have free will to go off of? I’ve been given an incredible amount of freedom to just do and say what I want and what I feel. I always have points I want to get across, there’s no doubt about that. It’s really all depending upon the crowd that night. What has been the biggest obstacle in making the transition from NXT to Raw? Nothing, there’s not been any obstacle. It’s just been fantastic ever since. I’ve been getting more time to show who I am and my personality. As far as I’m concerned it’s great. What made you want to become a sports entertainer/wrestler? When I was a kid, I was just super into Shawn Michaels. I thought, man, that’s the coolest guy. He had a cool entrance and all the girls loved him. I just thought, what a life that would be, and it started from that point on. Are you surprised with how over your character is with the WWE universe? Nope, not at all man. I’ve always believed in myself. How I see it, I’m the best thing going in WWE today, so it’s no surprise to me. Do you think we will be seeing a “face turn” for Elias anytime soon? Man, you got all the insider terms in the world don’t you. Listen, whatever the crowd decides to do, that’s what I’m going to go with. It’s not going to change who I am as a person. I just take it week by week and crowd by crowd. How much of your character is based off of your own personality? When you go out there every night, as wrestling fan, are you just having fun out there? That’s it, yeah. That’s all it is man. I’ve got the best gig in the world. I’ve wanted to be here my whole life and now I am. I get to go out there and do my thing. It feels very natural. Well, thanks for your time. I look forward to seeing you on Raw. I think you’re the best thing going in WWE right now. Well, you’re right about that man. Thank you.